Aaron Judge in the cage during a recent batting practice session. Photo by Jason Schott. 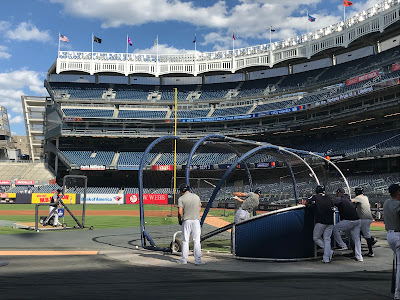 The Yankees on Wednesday announced that Yankee Stadium will be hosting Yankees Batting Practice Block Parties prior to the Yankees’ three Friday night home games in August. They will be held on August 10 vs. Texas, August 17 vs. Toronto and August 31 vs. Detroit, with Gates 6 and 8 opening at 4:00 p.m.
Children’s activities, music and additional special events are planned from 4:00 p.m. – 5:30 p.m. on those days. Fans with tickets for the Yankees’ 7:05 p.m. games on those nights will be able to enjoy a number of activities while watching Yankees batting practice from the Masterpass Batter’s Eye Deck, Toyota Terrace, Frank’s RedHot Terrace, Bleachers, and outfield sections of Yankee Stadium between 4:00 p.m. and 5:30 p.m.
· Fans will have the opportunity to take photos with the 2009 World Series trophy and in the Judge’s Chambers. · The Yankees’ “Hands on History” initiative will conduct a special program, allowing Block Party attendees the opportunity to hold a game-used Yankees artifact and try on a World Series ring. · Guests for the Judge’s Chambers will be selected from fans at the Batting Practice Block Parties. · Other special events and opportunities, which will be announced closer to the dates. 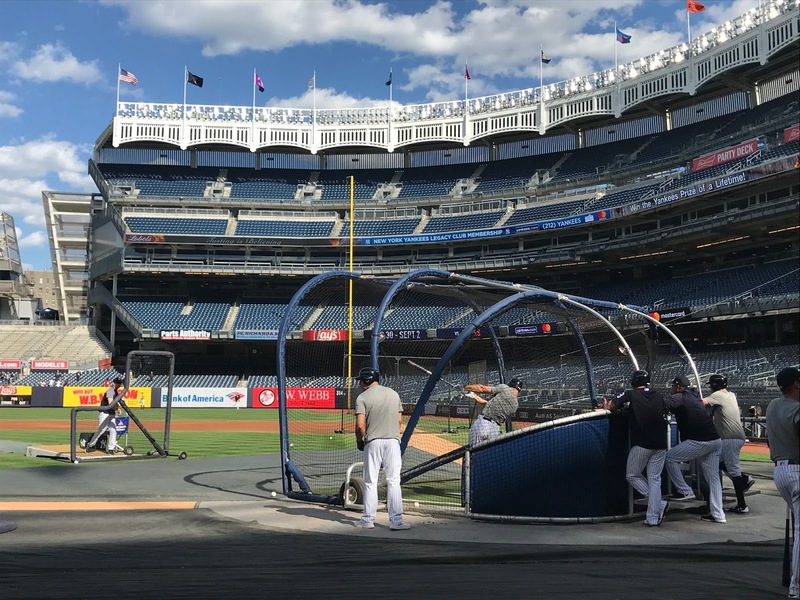 Please note that Yankees batting practice is subject to cancellation depending on weather and/or other considerations. Tickets for these games — and all Yankees home games — may be purchased online at www.yankees.com, www.yankeesbeisbol.com, at the Yankee Stadium Ticket Office, via Ticketmaster phone at (877) 469-9849, Ticketmaster TTY at (800) 943-4327 and at all Ticket Offices located within Yankees Clubhouse Shops. Fans with questions may call (212) YANKEES [926-5337] or email tickets@yankees.com. I have a fancy on your posts.The writing work is remarkable, and I am so pleased that you were able to share this article here.Thanks for informative post. Hi! Thanks for the great information you have provided!This was a wonderful site and I really enjoy it the data you shared. Thanks for sharing. I want to we appreciate you this passion you cash in on throughout establishing the next few paragraphs. I am also getting more at essays and thesis papers. Hi! Thanks for the great information you have provided! Amazing insight you have on this, it's nice to find a website that details so much information about different artists.I have bookmark your site for future updates. I learn some new stuff from it too, thanks for sharing your information.I am hoping the same best work from you in the future as well.